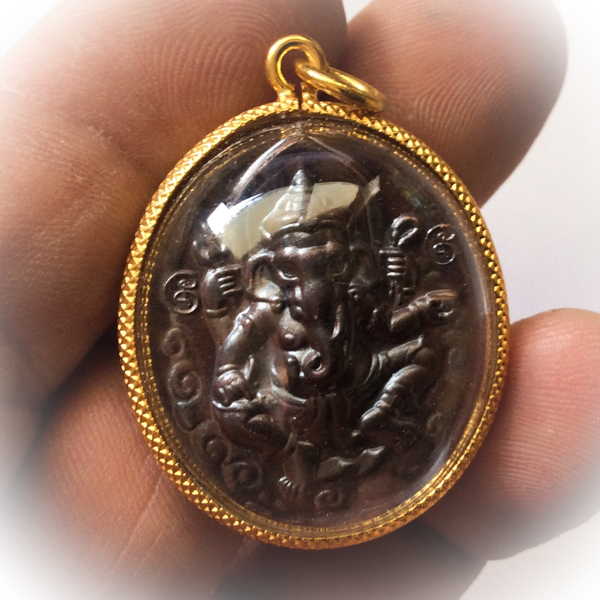 This most beautiful Ganesha Coin in Nuea Tong Daeng Rom Man Pu (reddish oily polished copper), is a very rare to see acquisition, that was blessed and empowered by the Great Sak yant Master Luang Por Lae of Wat Pra Song in Petchburi. 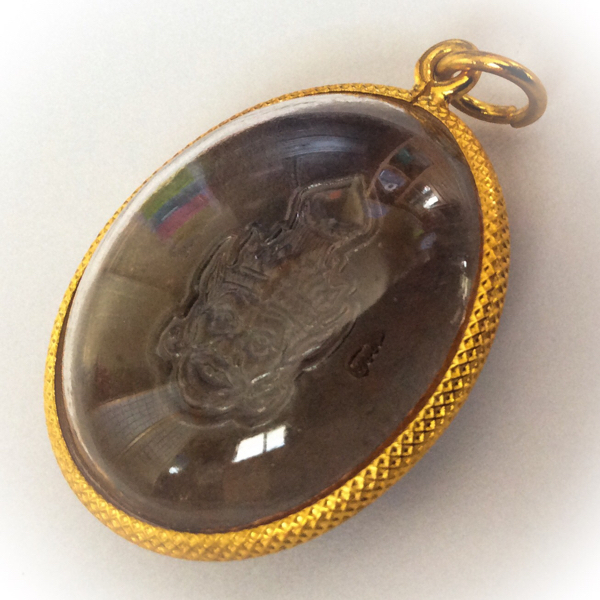 Released in the year 2539 BE, the amulet is now not only of a respectable age, and from a deceased Great Guru Master whose amulets are not often seen in circulation, but also is in pristine condition and still in the original box from the temple. 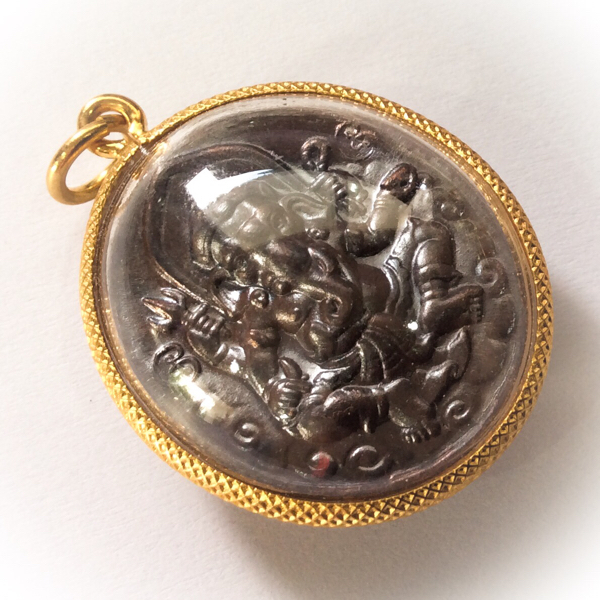 The image of Pikanes is incredibly detailed and surely designed by one of the Artists of the University of Fine Buddhist Arts. 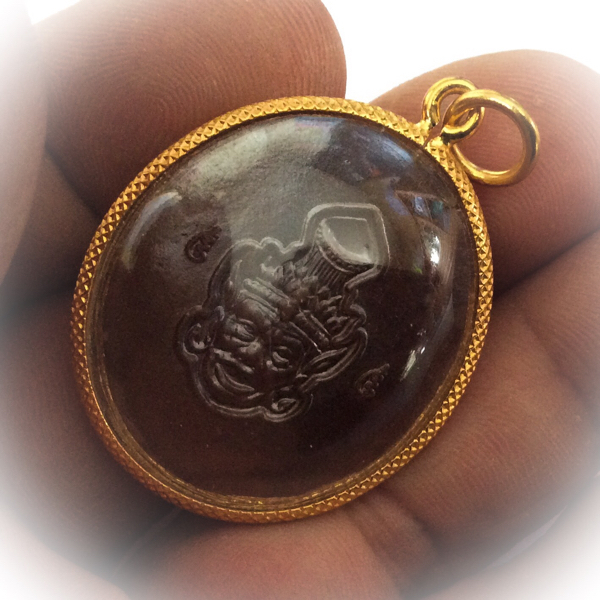 Its detail and balance of proportion is of the finest craftsmanship, as is the metallurgical aspect of this sacred amulet for prosperity and professional success. 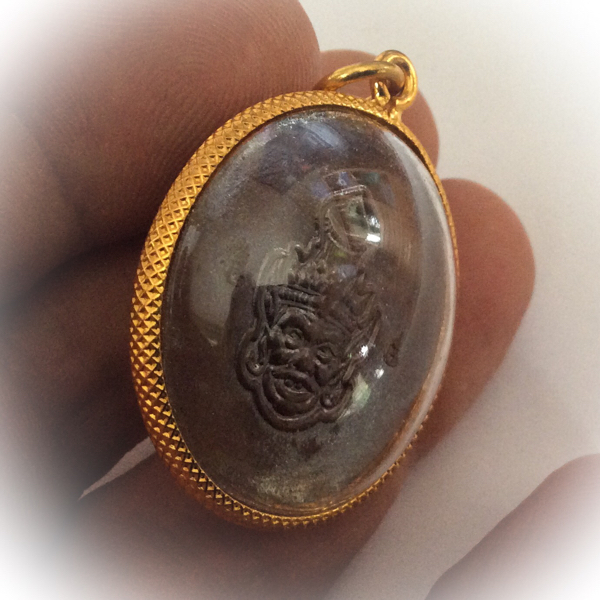 The amulet is encased in Waterproof Gold Plated Casing, ready for wearing. 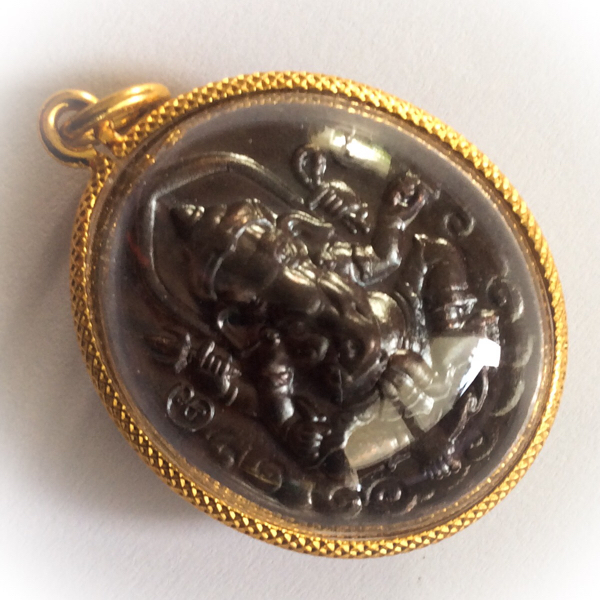 This amulet was released in two versions of casing; solid silver, and gold plated. 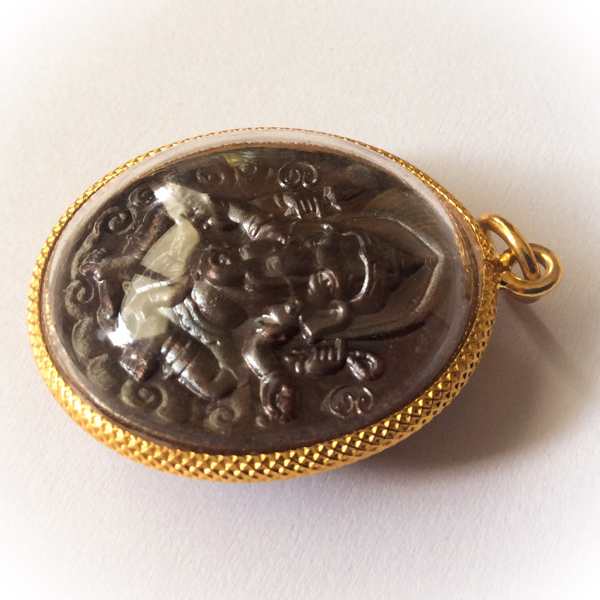 The rear face of the amulet bears a 'Siarn Por Gae' Lersi Head Image, invoking the blessings and protection of the Lersi to guard over and and improve the lives of the wearer. 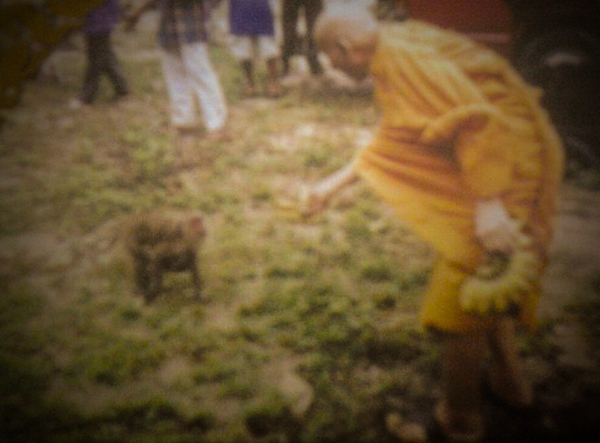 The Lersi are protectors and guardians of those who follow the Buddha and who revere the Hermit Gods. They are the originating authors of the Vedas, which are in truth a collection of Psalms of Heaven which were heard by the Lersi in their meditative states, as the Celestial Devas and the Khon Tan performed their renditions of the Music of the Spheres, and their songs of Heaven were heard, and written down by the Lersi. The Lersi are originators of many things, such as the Vina, a musical instrument invented by naradha. 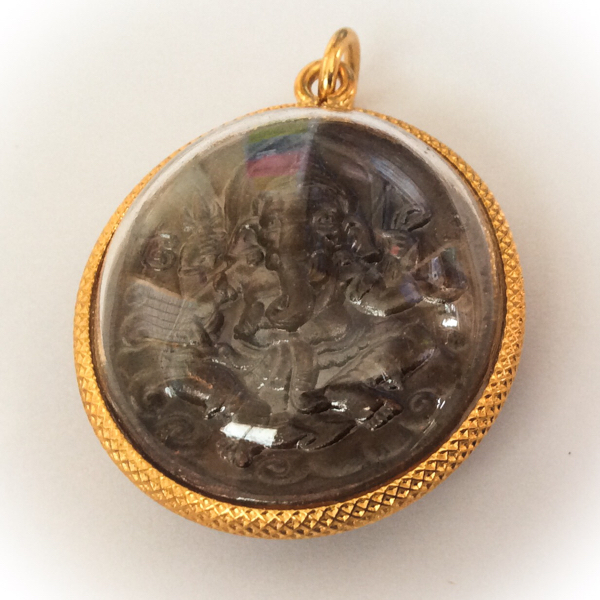 There is a Lersi Hermit God for each and every profession and trade, who can be revered and worshiped to increase success, status and prosperity. 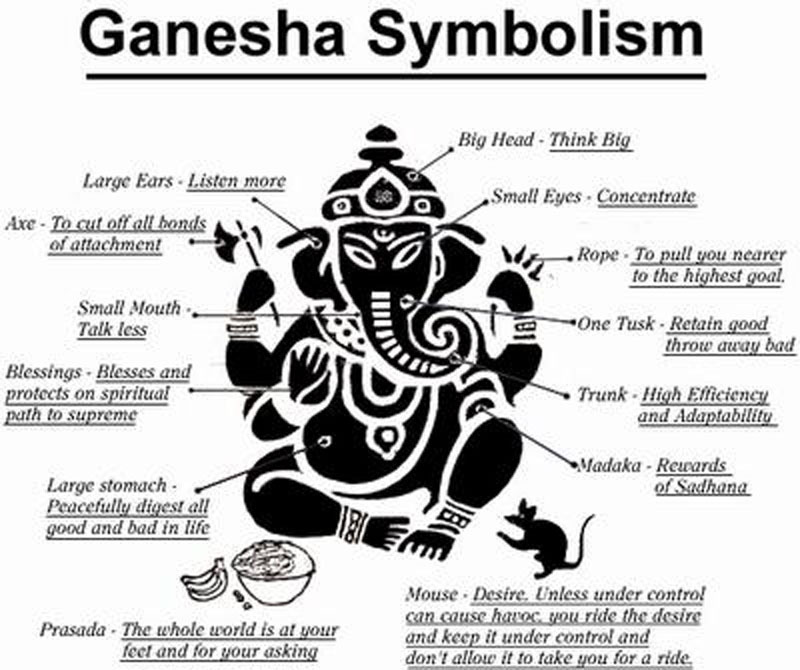 Ganesha, or as we call him in Thai 'Pra Pikanes' bestows similar blessing to the Lersi, as well as in fact being a Lersi himself, but also more than just a Lersi, rather, also a Celestial Deity of the Highest Order, being the son and offspring of the God Shiva, one of the three most iimportant Deities of the Hindu Trinity. 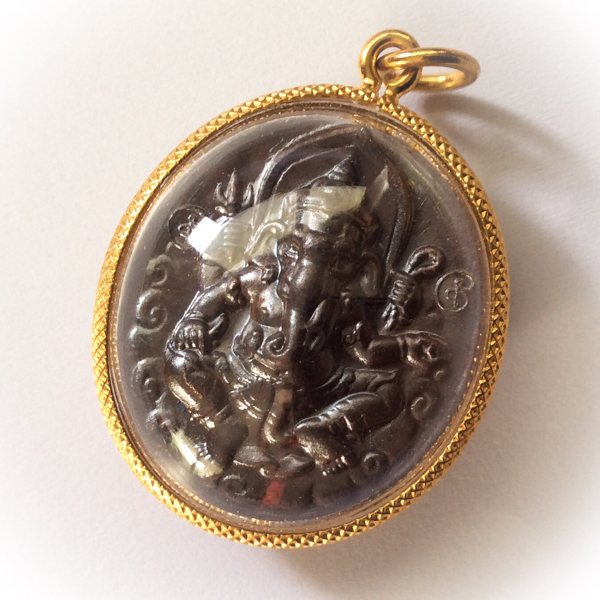 Pra Pikanes protects, removes obstacles, and improves your status and professional success. He is highly revered not only by thos who are in commerce professions, but also and especially those who are actively involed in the performing arts professions, such as acting, dancing, musicians, and other sorts of performance artists. 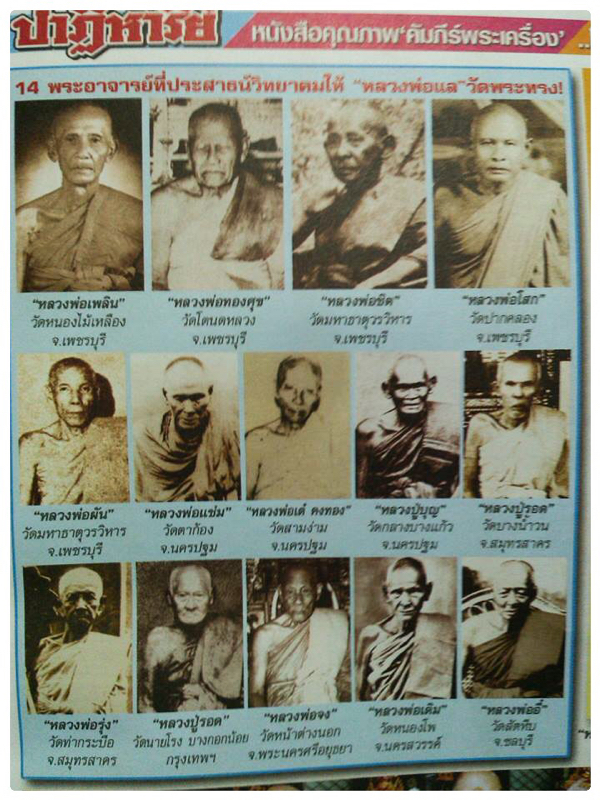 Luang Por Lae was famous for his Sak Yant tattoos with his special formula of Nine types of Hanuman/Vanora. However, it is said that after the occasion of having tattooed a 'very important person' he desisted from tattooing the 9th Hanuman and Hanuman number 10, and only would tattoo up to 8 of them on any one person. 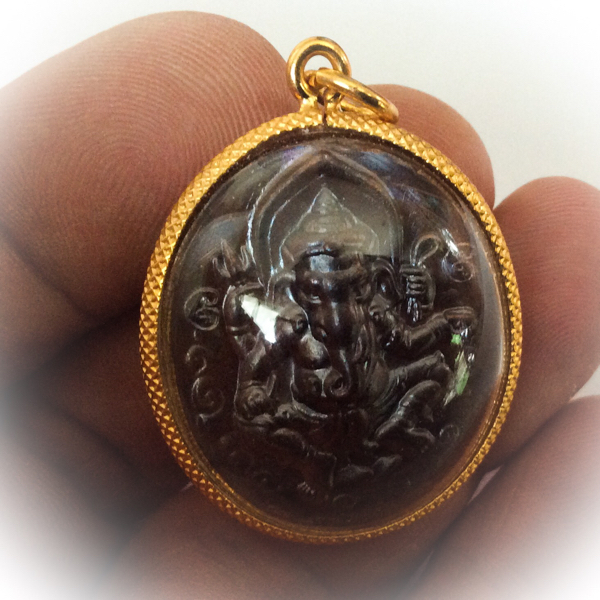 His amulets are a cult niche collectors material, and are always difficult to find,for it is indeed true, that his Devotees in Petchburi and surrounding province, are so possessive and non commercial with them that only few amulets from this master ever get to leave the locality, and have mostly been kept within the fold of his parishioners. 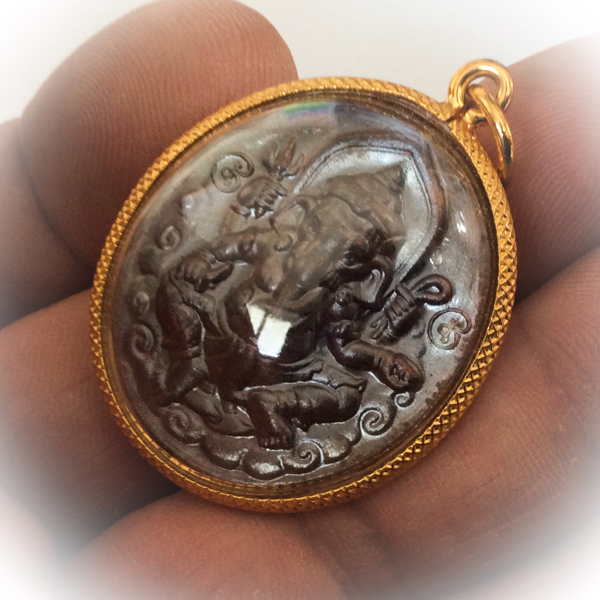 He is of course an especially revered master to those who are devotees of sak yant tattooing, and of those who have become enchanted with the many forsm of amulet he made during his lifetime, such as a large array of Hanuman amulets, Ganesha, Taw Waes Suwan, and Por Gae Lersi amulets which were made frm hand carved ivory. 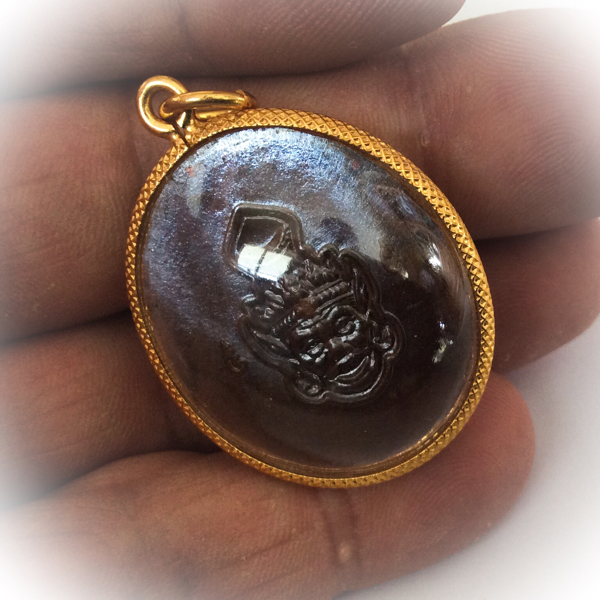 He has one of the more attractive pantheons of amuet designs within his magical trajectory, and many of his amulets are considered to be pieces of fine miniature Buddhist art in theor own right. 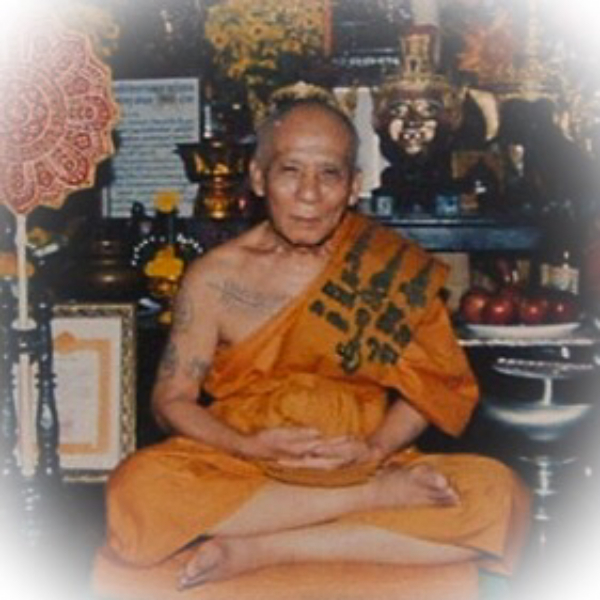 He is also a highly regarded historically famous master, due to the fact that he learned underr tutelage in Sorcery and Dhamma, from the incredible number of 14 other great Guru Master Ajarns, including Luang Por Derm, Luang Por Jong, Luang Por Tong Suk of wat Tanode Luang, Luang Phu Bun of Wat Klang Bang Kaew, Luang Por Chaem of Wat Ta Gong, and Luang Por Te of Wat Sam Ngam, amongst many other famous names. 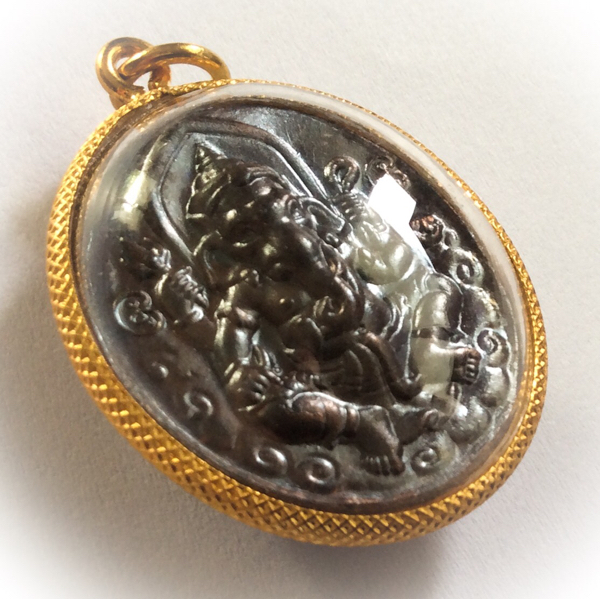 Recommended Uses:Improve Karma, Increase Professional Success and Status, Wealthy Fortunes.